Want to Help More? File a Trip Report! We were looking for a location to travel that wouldn’t be terribly hot and humid this time of year (June). 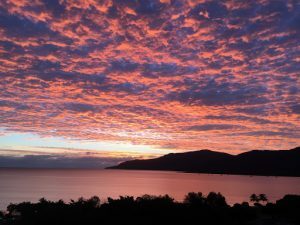 But what ultimately won us over were the $450 round trip direct flight tickets from Tokyo (Narita) to Cairns!! We couldn’t pass this up (JetStar, fare found on google.com/flights). We were able to rent a car (reserved online beforehand) with a U.S. drivers license. Navigating was easy (google maps works without wifi via gps). We stayed near downtown and would definitely recommend this location for families. We were across the street from a fabulous park (with free fitness classes throughout the week) but more importantly, a free (and awesome!) splash pad. 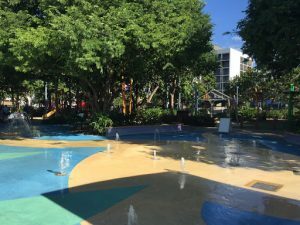 Since there aren’t any good beaches within Cairns, the city created a free lagoon which is open every day. The city has many great breakfast and coffee joints (which we miss here in Japan) but don’t expect to order a drip coffee, they love their fancy coffee! Another major draw was a tour to snorkel the Great Barrier Reef, which many companies depart out of Cairns. During their summer, some harmful jelly fish inhabit the area, so June was a great time to go. It was a little cool and rainy when we went, but still saw lots of fish. 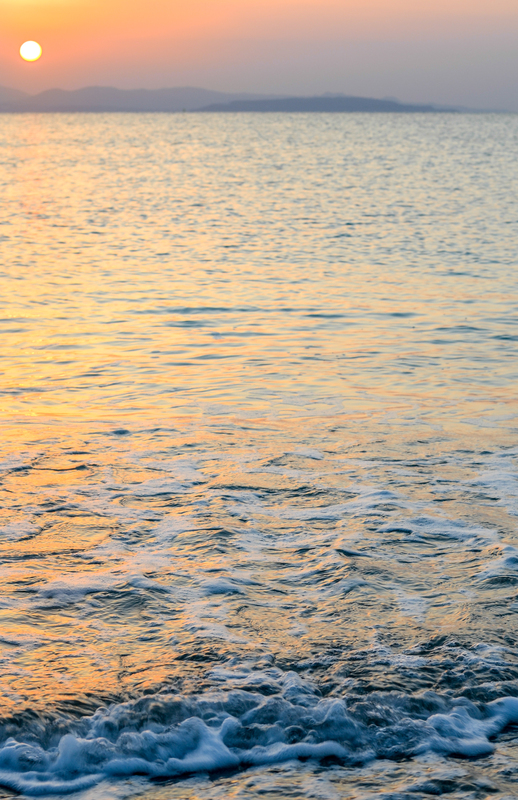 High tide is a much better time, so we’d recommend looking ahead and book a trip during that time. 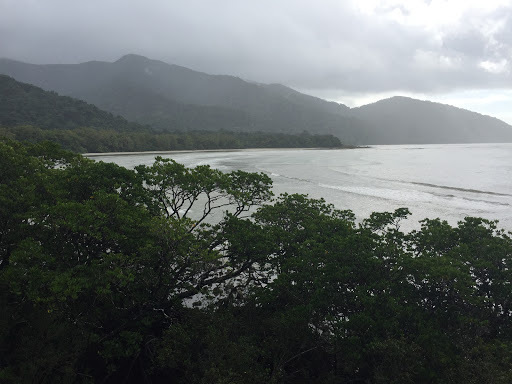 We drove up the coast to the Daintree Rain forest and along the coast to Port Douglas. There are awesome beaches but be aware of the windy, twisty road, it may lead to a little carsickness. We also drove to Kuranda, a cute little market town in the mountains, near Barron Falls. 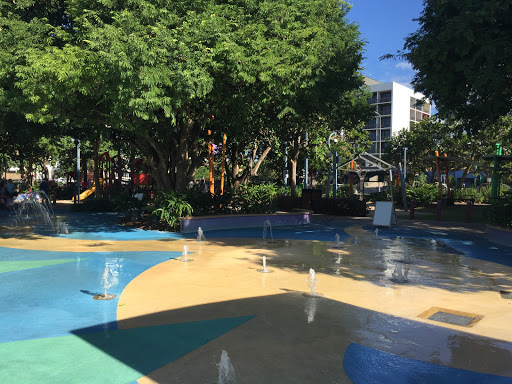 We also spent time touring the downtown area and the Cairns Botanical Gardens (also free). Saipan, rich in culture and history, is a quick and relatively inexpensive plane ride from Japan. It’s a commonwealth of the U.S. and thrives on tourism. My husband and I recently visited this island and were pleased that we did. There are many hotels to stay at on the island, we stayed at the Hyatt Regency, because it is within walking distance of many shops and restaurants. 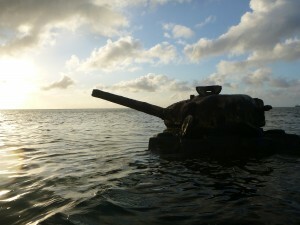 It is also within walking distance of the American Memorial Park, which is a great site to visit wile staying in Saipan. The hotel has a lovely beach, with a bar and restaurant that serves beverages and food. The island here is protected by a coral reef, and at low tide you can walk into the ocean forever and only be waist deep. We know of people who stayed at the Pacific Islands club and also had a wonderful time. 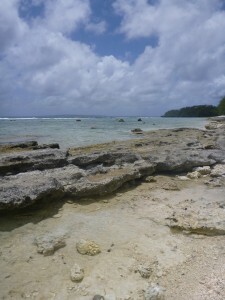 Saipan is a small island, and I’ll be honest, I was nervous that we would run out of things to do. However, we were there for four days and were busy the entire time. We rented a car from our hotel and drove to the various sites. My husband and I discovered many historical sites and museums, and were amazed by the preserved WWII history. We saw the last Japanese Command Post, the Banzai Cliffs, WWII pill boxes, bomb shelters and more. All were easily accessible and many had plaques with the detailed history. 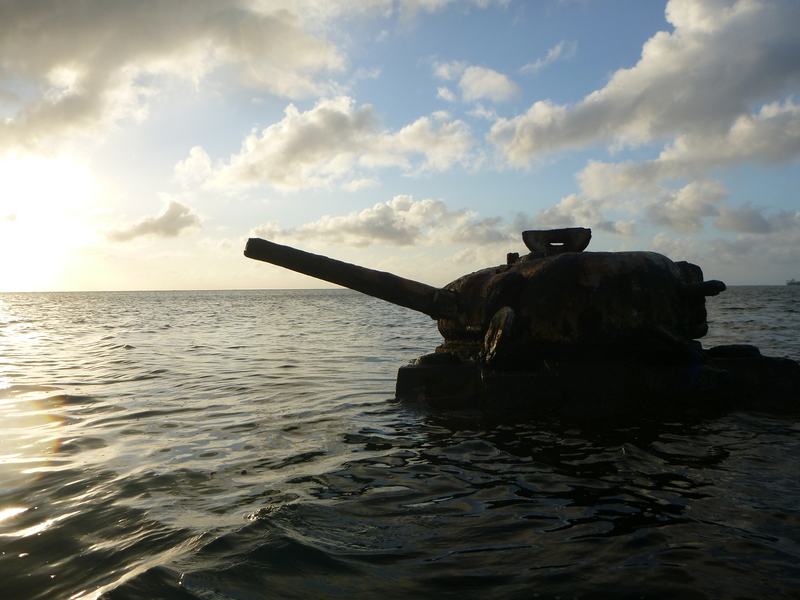 My favorite was a WWII tank that is partially submerged in the ocean. At low tide, you can wade out to the tank and climb on top of it, and/or snorkel around it. So perhaps all that sounds boring, not to worry, the island has hiking and snorkeling, and is a diving mecca for those with a diving certification. Not certified? Not to worry, many dive sites are open to snorkeling as well, and you will find all kinds of colorful fish and wildlife. Just outside the hotel, while wading and snorkeling, my husband and I witnessed a stingray that came within feet of us. There is also a boat ride to Managaha Island, a popular place to snorkel and sunbathe (my husband and I did not go there, but have heard it’s a great day trip). We also hiked down to Bird Island, just off the eastern coast (shown in picture). 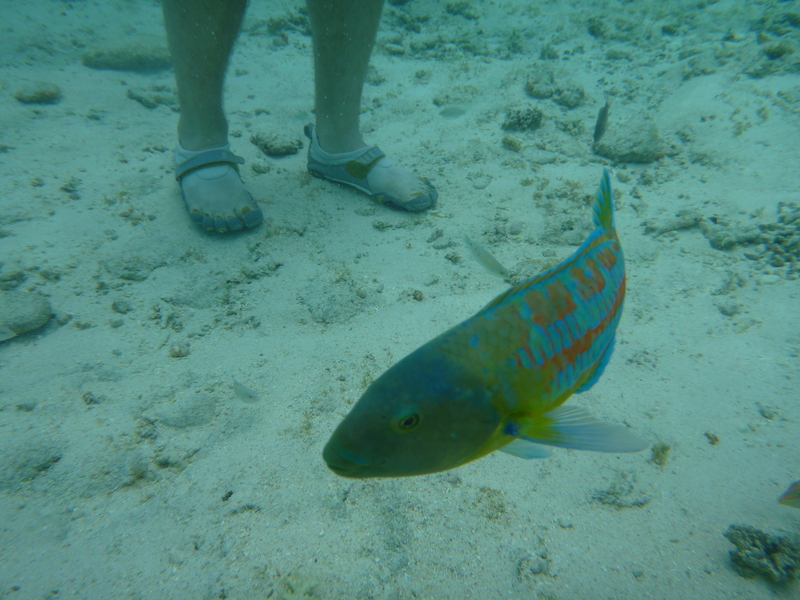 The water was crystal clear and there were tons of fish. When hiking, I recommend being prepared and bring plenty of water, food and sunscreen. 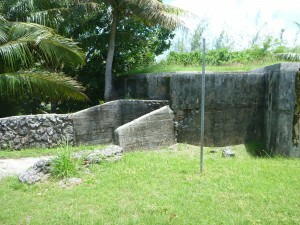 The culture and food is also a great draw for tourism in Saipan. On Tuesdays, the island has a Tuesday Market, where locals come out and sell their wares and food. There is a stage for performances, island dancers and fire throwing. The market is within walking distance from the Hyatt Regency. 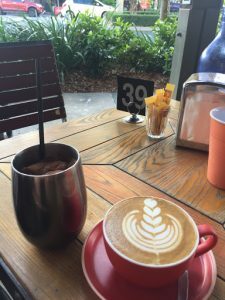 There are many great restaurants, but my two favorites were the Café at the Park, just across the street from the American Memorial Park; it serves coffee, breakfast, lunch and dinner. The food is great and much less expensive than at the hotel. It’s run by locals who have a great sense of humor and excellent customer service. The second is La Trattoria, a reasonably priced Italian restaurant, great for a date night, and serving one of a kind wines. La Trattoria requires a car or taxi, the hotel will help you locate it. TIPS AND TRICKS: Plane tickets cost $300-$500, and only take about 3.5 hours direct (we used Delta). Let your hotel know that you are active duty, and you will likely receive huge discounts. Bring your own snorkel gear to save money on rentals. Buy food and snacks outside the hotel to save money. If you have any tips and tricks to share, please post them in the comments below. 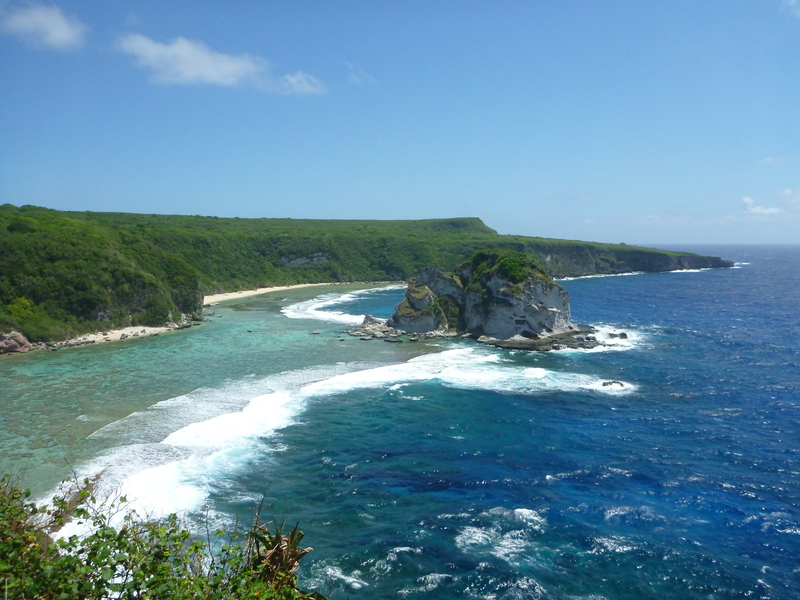 We would love to hear about your experience in Saipan. Please share any other information and pictures by emailing the editor, or commenting below. Happy travels! Michelle Nexon, May 2015. 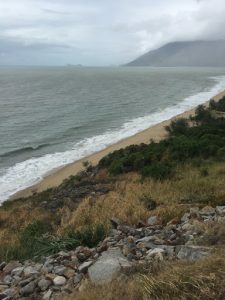 To get to Australia, we took an overnight flight on Jetstar from Narita to Cairns. It was about 7 hours in the air. They also fly a simultaneous route from Narita to Gold Coast. Since it is a discount carrier, there are no meals included in the flight. You either need to take your own or purchase ahead of time from Jetstar when booking your reservation. They also have ipads loaded with shows and games available to rent for $15 AU. We were very surprised when we arrived at Narita and they would not allow our 1 year old to take her car seat on board because it was not Australian. They re-ticketed her to infant in arms at the gate but please note this if you are traveling with a small child. In order to enter Australia you must have an ETA visa which you can apply for online at www.immi.gov.au. The cost is $25 AU per person. 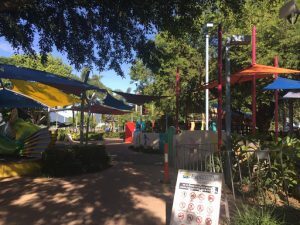 Cairns has a million things to do. Cuddle a Koala, feed a Kangaroo, swim the Great Barrier Reef, watch bats during their evening migration on the Esplanade, explore the Daintree rainforest, day trip to Port Douglas, and much more. We only stayed for 2 days but could have spent a week. 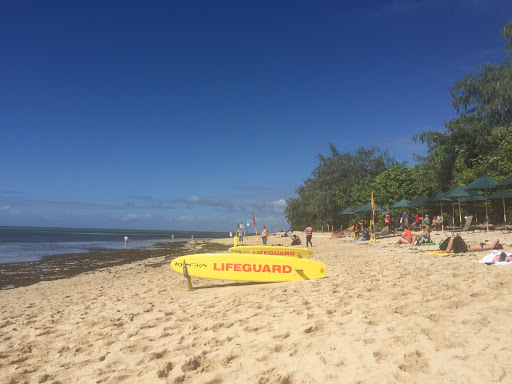 For us the highlight was our day on the reef with SeaStar – they were incredibly kid friendly and the boat was small enough we got personal service. To Australia and to New Zealand we flew Jetstar and Virgin Australia discount carriers. From Cairns we flew 2 hours south to Gold Coast and stayed near the beach in surfers paradise. The surf was very strong for our 1 and 3 year olds and even though they had a good time playing in the waves it wasn’t an ideal beach situation for them. We spent one day at Sea World which was fun but not up to US standards. With older kids there are many theme parks to enjoy, and they offer combo tickets which really helps with the price. From Gold Coast you are also close to many rainforest experiences. On to Sydney, another 2 hour flight – the harbor was enjoyable (Opera house, Sydney bridge, botanical gardens). We did not have time to venture outside of Sydney to the beaches or the Blue Mountains but these looked very interesting. We found a wonderful playground in Darling Harbor after visiting the Sea Life Aquarium and from there took a cheap ferry back to Sydney Harbor, giving incredible views of the Opera House without the crowds. From Sydney we flew to Queenstown, NZ. 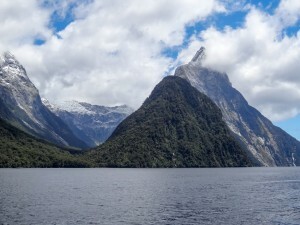 Entry into New Zealand does not require a visa. However, their customs is VERY strict. They will inspect all food (even prepackaged) and clean anything that could track in unwanted items (your shoes, bike, tent, etc.). Plan for it to take a while to get into the country. Car rental was very reasonable, although gas was pricy. Also plentiful were companies renting converted mini-van camper vans. There are not hotels in the smaller towns on the south island so we had the luxury of staying in bed and breakfasts that were very lovely. Our tour of the south island included Queenstown, Te Anau and Milford Sound, Wanaka, Lake Tekapo, and then we flew out of Christchurch. Highlights were the Milford Sound cruise we took with Real Journeys, jetboating on Lake Wanaka, and the Earth and Sky tour of Mt. John Observatory in Lake Tekapo. For an incredible cottage stay check out the Park Brae Estate in Tekapo. 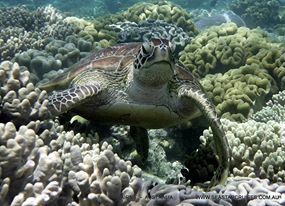 – Amanda Martin, December 2013; Observatory photo courtesy Earth & Sky Ltd., turtle photo courtesy Sea Star Cruises. Okinawa can be a very satisfying place to visit using Space-A from Yokota. 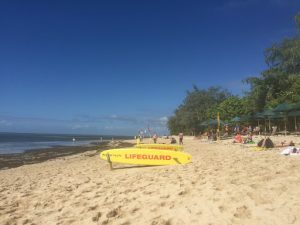 There are several fights per week to and from Kadena, you can do all of your sight seeing from Kadena or stay in one of the military owned cabins around the island, it remains warm and lovely as Yokota grows cold in the fall, and the clear blue water and white sand beaches are beautiful. We went in November and found ourselves back in shorts and flip flops as we settled into the most delightful beach vacation. Kadena is a large Air Force base located centrally on the island. While we didn’t stay on this base long during our trip, we did enjoy their super large BX, a couple of restaurants recommended by a friend, and on the way out we stayed one night at the Shogun Lodge. Taxis are available on base, but to do very much on the island you’ll need to rent a car. If you take a taxi from the air terminal to check into the Shogun Lodge, hold onto the taxi while you get your room assignment. Our two room family unit with full kitchen was down the street from hotel reception. There are two restaurants we really enjoyed at Kadena. The first was the Tee House, located on top of the hill at the Golf Course. They have a large menu, great prices, club card discount, but the best part is the view. Sit outside and enjoy the view of Kadena’s two runways and the ocean. We especially enjoyed watching the fighter jets taking off and landing. We also really enjoyed Teppanyaki at Jack’s Place. Dinner was an entertaining affair where the chef cooked the food at our table. Dinner prep includes a little fire show which my kids totally enjoyed. They also have great prices, are kid friendly and take 10% off if you have a club card. 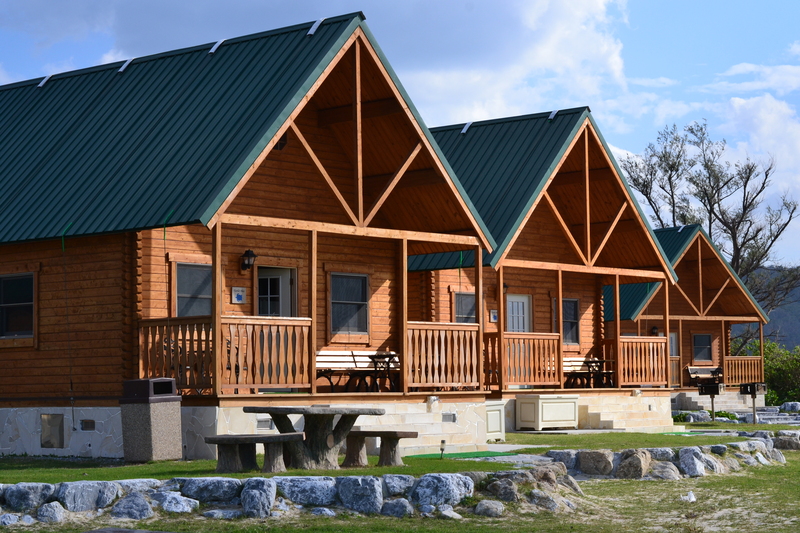 While there are several options for military cabins on the beach, we chose to stay at Okuma for the week. It takes a little over 1.5 hours to drive here from Kadena. We wanted to spend a lot of time just relaxing on the beach and we ended up staying right at Okuma for five full days with plenty to do. 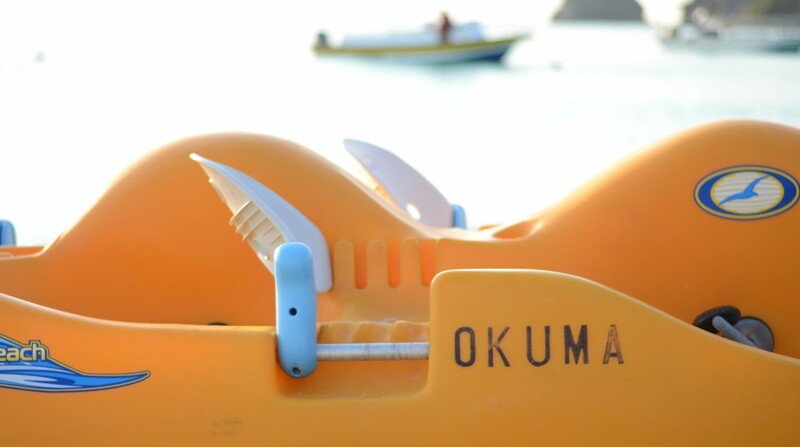 Okuma is located on a small peninsula and has several beaches, many lodging options, a restaurant with great pizza, and a wide range of water activities and rentals. During our stay we went snorkeling, jet skiing, on a glass bottom boat ride, rented bikes and family buggies, played miniature golf, had a camp fire as we watched the sun set over the ocean and spent a great deal of time building sand castles and collecting shells on the white sand beaches. All of the lodging at Okuma is situated right on the beach, so no matter where you stay, you can roll out of bed and onto the sand every morning. We stayed in the Suite Plus units on the North beach. The buildings are older but comfortable. With two queen beds in the bedroom and a very comfortable fold out bed in the living room, we had plenty of space for our family of four. There is a picnic table out front and a small charcoal grill. 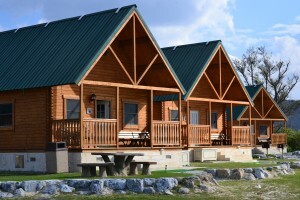 While the off season price is posted at $70/night; if you stay off season all week the price drops significantly during the weekdays; plus they take an extra 10% off if you have a club card. The Turtles Nest Beach houses are more expensive than the suites, but are nicely situated on the South beach where you can watch the sunset over the water from the porch (photo). For couples, the AI beach cabin looks like a fun option. It may be small but it is far away from everyone else and comes with its own large private beach. While our unit didn’t come with a fire pit, the family campground located on the South beach wasn’t full and we were able to use one of the camp sites to build a camp fire. You can buy wood, charcoal, starters, smores ingredients and hot dogs all from the little store next to reception. The staff at Okuma is really amazing… we were treated so well the whole time we stayed here. It was a pleasure interacting with everyone. Also, because we stayed here off season in November, we had these huge beaches almost entirely to ourselves. It was incredible, so quiet and lovely. Okuma has its own facebook page; which can be fun to follow before you go. While we didn’t leave Okuma often, we did a few tourist things. The most worthwhile was the Okinawa Churamu Aquarium located in Ocean Expo Park. The Aquarium was a lot of fun. We really enjoyed the opportunity to sit next to the glass at the restaurant next to the largest tank. Here you can have a beer and snacks while watching the whale sharks and giant sting rays swim by. But Ocean Park has lots of amazing free opportunities as well! The free dolphin show is worth seeing as well as the Sea Turtle exhibit. There is also a large “Kids Adventure Land” with climbing hammocks spread out over a huge area. We did enjoy a few other touristy things including: Butterfly Park, Nago Pineapple Park and Fruits Land. The Butterfly Park is located very close to Ocean Expo Park. Pineapple Park and Fruits Land are located next to each other in the Nago area as well, closer to Route 58. 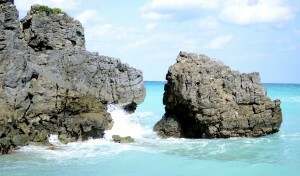 You can find information about all of these places and about many more places to visit at the blog Okinawa Hai. Of these, we enjoyed Butterfly Park and Fruits Land the most while Pineapple Park felt more like a tourist trap to us. 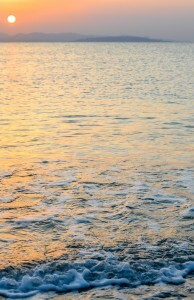 I imagine it would be amazing to go to Okinawa any time of year. I understand through friends stationed there that it is often shorts weather through Thanksgiving; cherry blossom season in February; and really hot and muggy during the summer months. The ocean feels like bath water in the summer, but was warm enough for us to enjoy some swimming in November. – Sarah Straus, November 2013. Please note that you may not be able to use the DECA Commissary and AAFES stores in Korea. To use these stores, including those stores at the Dragon Hill Lodge, one is required to have a Ration Control Plate (RCP). To obtain a temporary RCP, TDY, PCS personnel, Contractors and visiting guests (with a military sponsor), can go to South Post Building 4034 (the 1RC building) of Yongsan US Army Base. This building is located just North of Dragon Hill Lodge; employees of the Lodge can point you in the right direction. Be sure to bring your orders. The office is open weekdays 0830-1630 and the contact number is DSN 738-4612. Visiting civilians and dependents that did not come with their military sponsor cannot use AAFES and DECA Commissary stores, nor can they get a temporary RCP. Flying commercial into Incheon Airport? 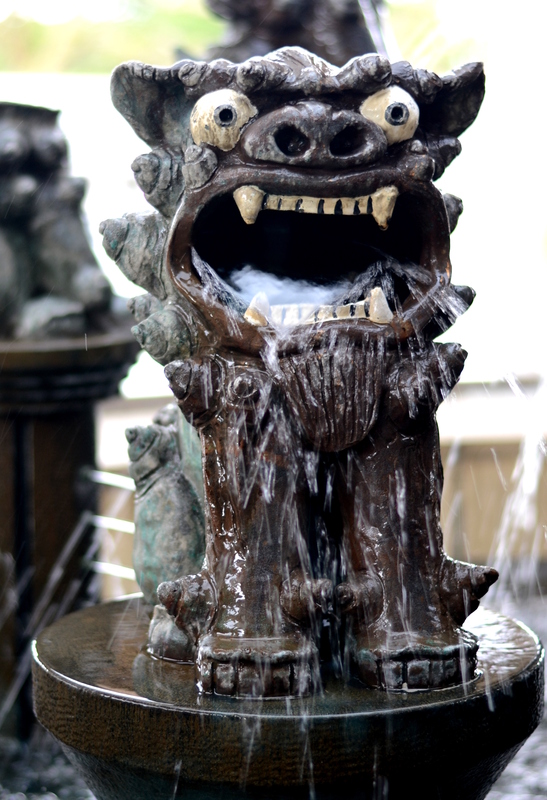 There is a free shuttle to Dragon Hill Lodge, which is in the heart of downtown Seoul. Simply go to the US Forces Korea Airport Reception Desk. Once you exit the arrival gate, turn left and head to terminal exit one. The reception desk will be on your right, just before the exit. The shuttle runs 7 days a week and operates until 2200. For specific info, please refer to their schedule. If you miss the bus, an AFFES taxi will cost roughly $65 and can take you directly to Dragon Hill Lodge, as it has access to the base. The Airport Reception Desk can help you coordinate a taxi. Dragon Hill Lodge provides local tours through their tour desk and will also assist in making reservations and coordinating transportation. If you check out their website, you may find that they have special deals. 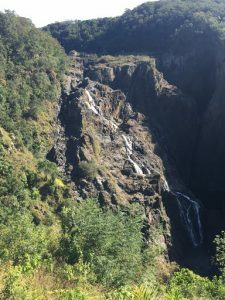 My husband and I were able to enjoy their “6 Days/5 Nights” package, which included 5 nights at Dragon Hill Lodge, a tour of the DMZ, palace tour, river cruise, and tickets to a show. These packages are always changing, so keep an eye out for deals. Not staying at the Dragon Hill Lodge? You can also find tours through USO Korea. Be sure to keep an eye out for Osan ITT tours as well. 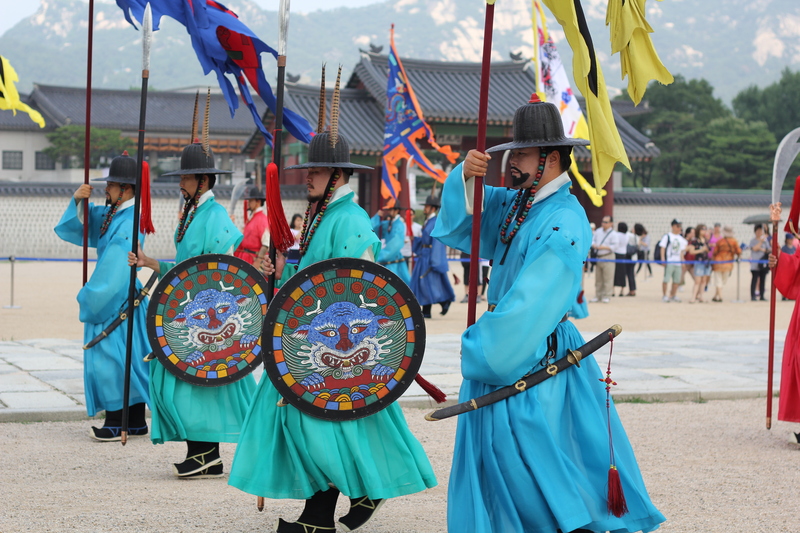 While visiting Seoul, here are some recommended items for your “to do” list. – Tips by Jenni Burdette, May 2013, Michelle Nexon, July 2014. Take an All Day City Tour to see various sites including the Presidential Blue House, Gyeongbokgung Palace, the Ganghwa Ginseng Center, Changdeokgung Palace/Secret Garden, Namdaemun Market and more. 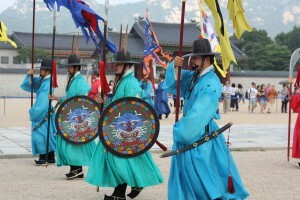 Tour the Korean Folk Village. Learn about the Country’s traditions and culture in a “live museum” environment. Ride the train to Bukhansan National Park and explore the outdoors. Hike Namsan Mountain and discover the Seoul Tower. See a Korean musical or show. Shop at Itaewon, Dongdaemun, Insadong and Namdaemun. 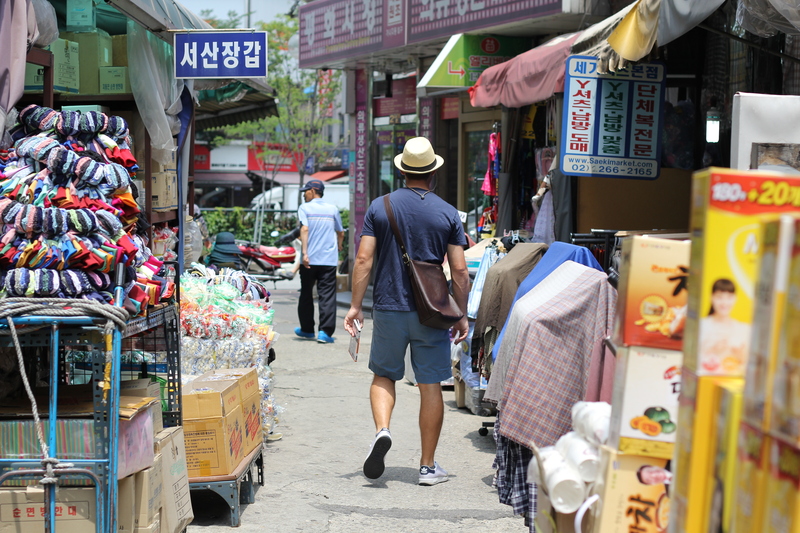 These various shopping districts and markets are popular in Seoul. Go to a festival. Find a festival by searching the Visit Korea website. 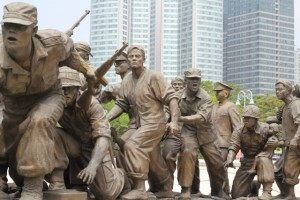 Visit the War Memorial of Korea. View war memorabilia, and learn about Korea’s war history. A short walk from Dragon Hill Lodge. For the foodie, be sure to enjoy Kimchi, a famous Korean side dish of fermented vegetables. Or give Korean BBQ and Soju a try (Korean liquor). Cruise down Han River, the main river that flows through Seoul. See a variety of bridges from a boat’s-eye-view. 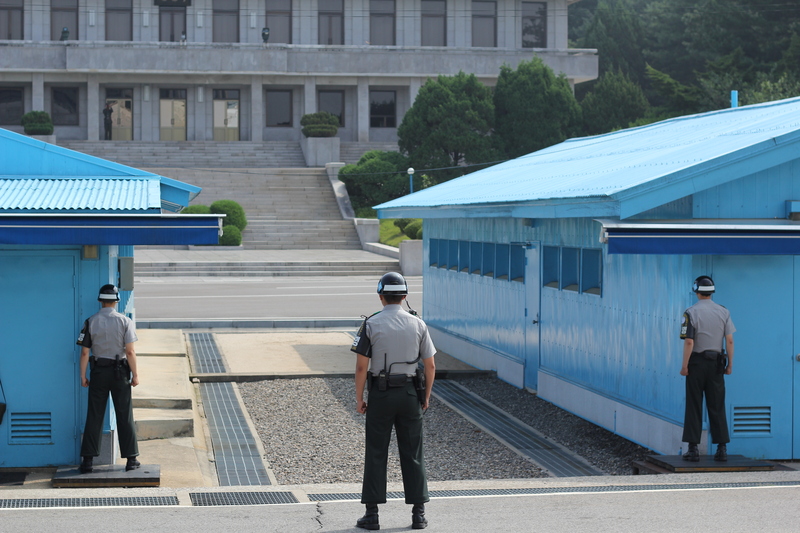 *The DMZ/JSA (joint security area) tour is a must-see. My husband and I did both the JSA and DMZ tour, and felt like the JSA was all we needed to see. 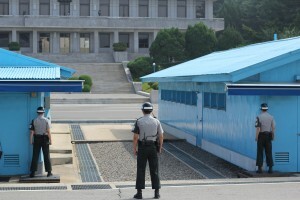 It was incredible, and you are likely to see a North Korean guard and the MDL (Military Demarcation Line) up close! The DMZ tour was OK, but the JSA tour made the tour worth every penny. Please be aware that the JSA is not always included with the DMZ tour and MUST be reserved in advance. Before heading to Korea, please make sure this tour is offered during your stay. Traveled to South Korea and want to share your experience? Please File a Trip Report! We’d love to hear from you. Visit the Temple of Literature, Vietnam’s first national university. Take a stroll through the streets of Old Quarter. Old Quarter maintains the original street layout and architecture of Old Ha Noi. Walk around Hoan Kiem Lake. Tour Hoa Lo Prison. This is the prison where Senator McCain was held prisoner during the Vietnam War. 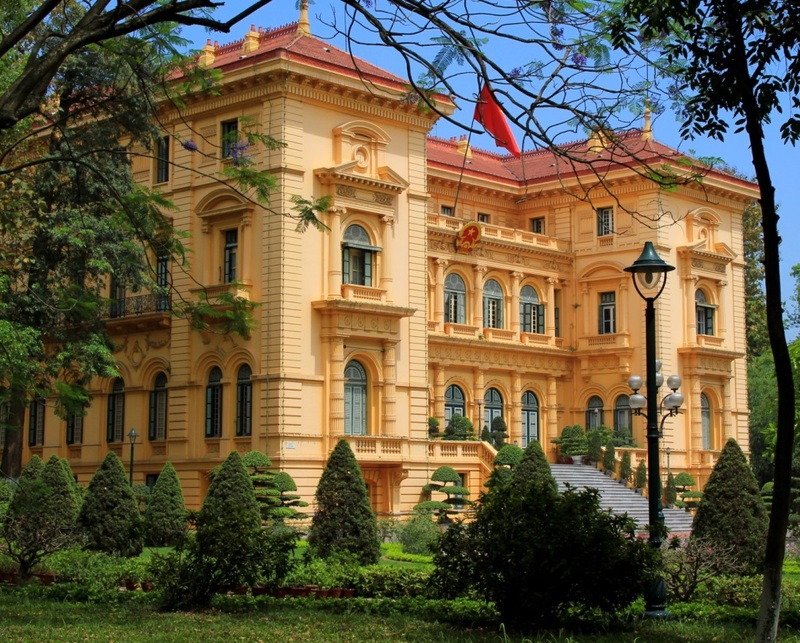 Explore the residence of former Vietnamese leader, Ho Chi Minh. 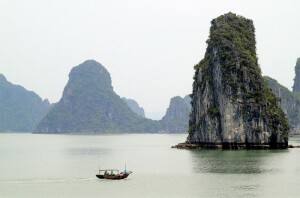 Also called Nha Bac Ho. 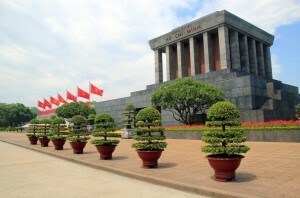 Visit the Ho Chi Minh Mausoleum. Located in Ba Dinh Square, this is the place where Vietnam leader, Ho Chi Minh, read the Declaration of Independence on September 2, 1945. Eat Pho, a popular Vietnamese dish, consisting of broth, rice noodles, herbs and meat. For beer lovers, be sure to enjoy a Bia Ha Noi, Ha Noi’s local beer. See a show at the Thang Long Water Puppet Theater. The show portrays Vietnam’s traditions and historical tales through puppetry. Walk through Hang Gai Street, also known as the Street of Hemp. Purchase silk, silver and souvenirs at this popular street market. 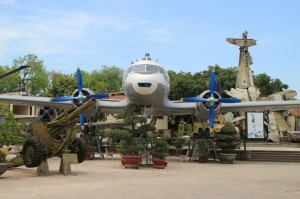 Visit the Vietnam Military History Museum. 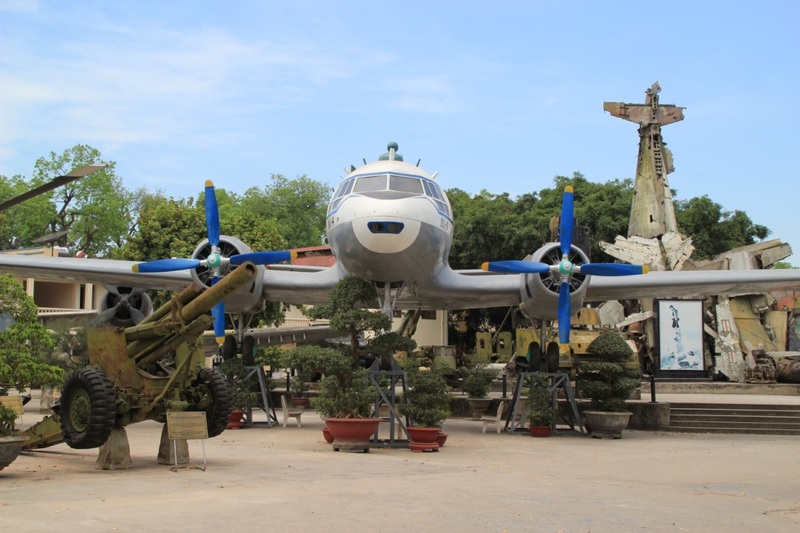 Learn about Vietnam’s military history. Displays include captured machinery and aircraft, as well as propaganda and documents from previous wars. Walk by the Presidential Palace. 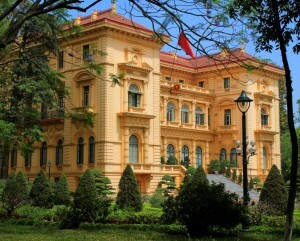 Built by the French in the early 1900s, this historical building is located near the Ho Chi Minh Mausoleum. Climb to the top of the Ha Noi Flag Tower. Nearly two centuries old, this tower has great views of the city of Ha Noi. Traveled to Vietnam and want to share your experience? Please File a Trip Report! We’d love to hear from you. Take the City Sightseeing tour. Simply hop on one of the red double-decker buses and stop at over 30 sights. The buses run regularly, so you can hop off and explore, then catch the next bus. Visit the Marina Bay Sands Hotel. Recognized for its unique architecture, this hotel boasts having one of the world’s longest elevated swimming pools. Sit at the roof top bar and enjoy a drink with an amazing view. 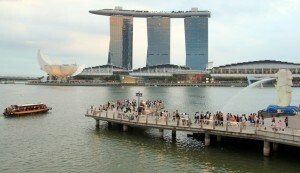 Walk around Marina Bay and discover Merlion Park, or take a stroll along the Singapore River. If you get hungry, stop in at one of the many local restaurants for some food. 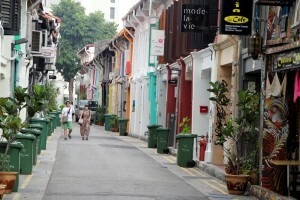 Explore the temples, restaurants and shops at Chinatown, Little India and Arab Street. 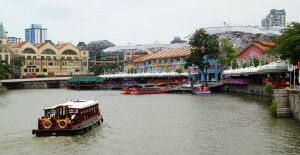 Enjoy a boat ride through Mariana Bay and up the Singapore River for a unique view of the city. Tours last approximately 40 minutes. Hop to Indonesia for the day. 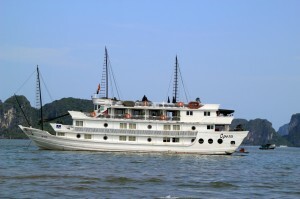 Batam, Indonesia is approximately an hour long ride from Singapore’s HarbourFront. Bintam, Indonesia is approximately 45 minutes to an hour from Tanah Merah Ferry Terminal. 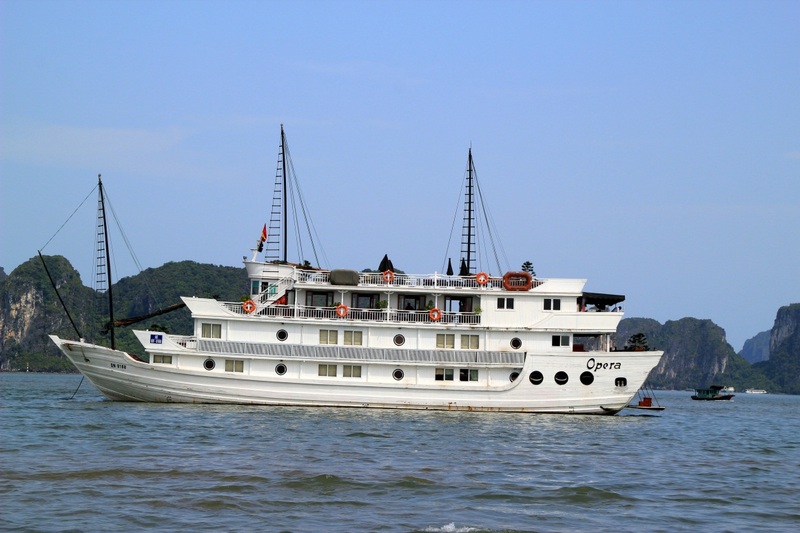 Check out Bintan Resort Ferries and Sindo Ferry for a ferry schedule and to book tickets. Eat at a hawker food stall. An open-air complex that houses stalls for various cooked foods. Leave the hustle and bustle of the city and go to any of the Wildlife Reserves of Singapore. 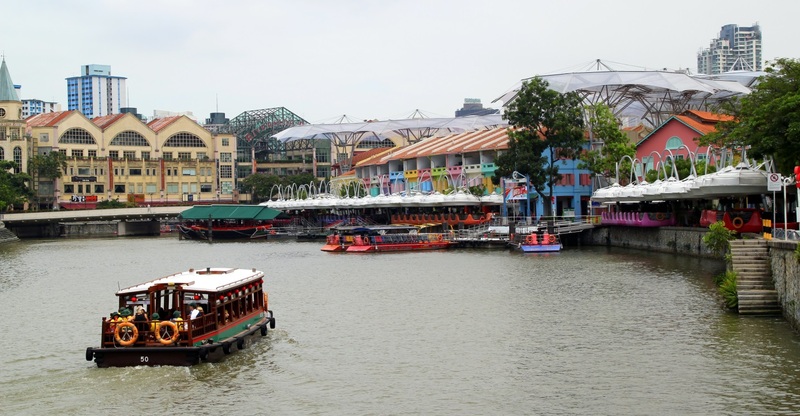 Check out the Night Safari, the Jurong Bird Park, or the Singapore Zoo to name a few. Relax and take a walk through the Singapore Botanic Gardens, and the National Orchid Garden. Visit one or two of the Country’s many museums. 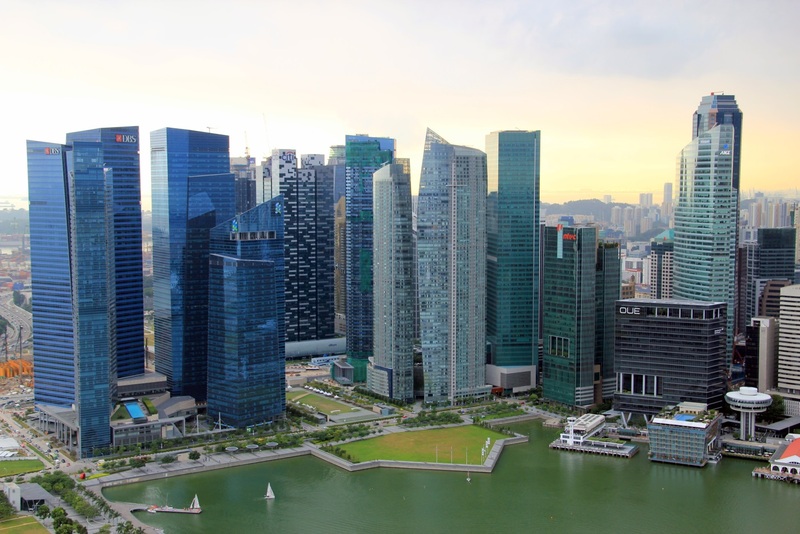 Choose from the ArtScience Museum, the Asian Civilisations Museum, the National Museum of Singapore, and more. 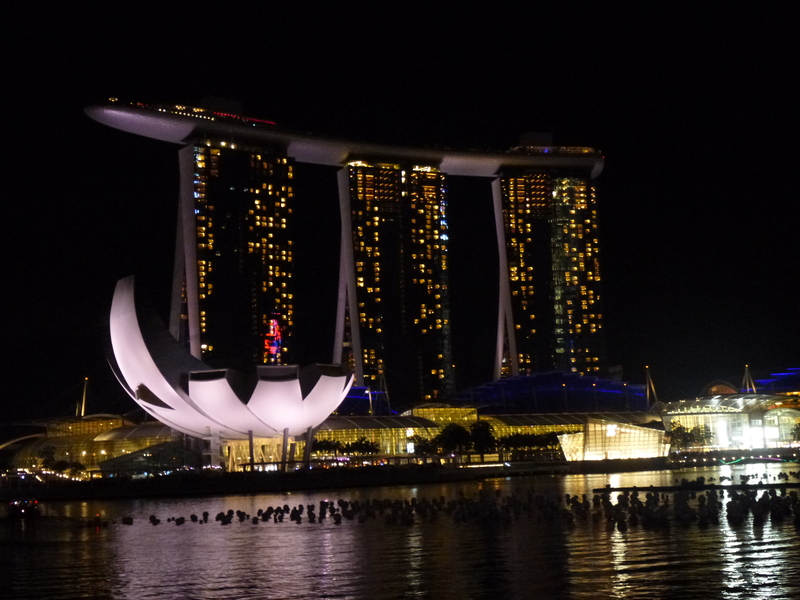 Immerse yourself in one of Southeast Asia’s largest light and water shows, Wonder Full. Put on by Marina Bay Sands, the show consists of lasers, giant projectors and water screens, using downtown Singapore as a backdrop. The show is free. For show times and information, click on this link: Wonder Full. 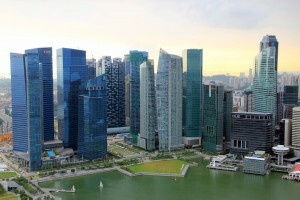 Know of a great place to eat in Singapore, or an activity that should be mentioned? Please share! File a Trip Report or leave a comment. We’d love to hear from you. There’s a thrill to Space-A travel. A nice camaraderie often breaks out among the travelers, and who doesn’t like a free ride? Just make sure you’ve got enough flexibility to roll with the flight schedule and the funds to either wait it out if you miss a flight or to buy yourself a ticket home Space-A is a benefit that allows active duty , Department of Defense civilians, military retirees and command sponsored family members (“dependents”) the chance to fly at virtually no charge. This article is written from the perspective of family members traveling without their sponsors. (The process is similar for active duty members, but they can’t register at the AMC until the day their leave begins and you only need leave orders.) If you travel without your sponsor, you will be in a lower priority category. You can, though, move up a category if you take the trip as Environmental Morale Leave . Don’t be too pessimistic. Many planes leave here with seats to spare, and some of us have enjoyed multiple trips courtesy of Space-A. Where can you go? The Patriot Express flies to Seattle and Korea. There are also flights to Okinawa and Misawa within Japan, Guam, Honolulu, Anchorage, Travis (near Oakland/Sacramento) and Singapore (not an EML location). Yokota-based families are allowed to fly Space-A to the U.S. and anywhere in the Pacific Theater. To start off, ask at the Yokota Passenger Terminal for the list of scheduled flights for that month, and for the phone numbers and email addresses of the other terminals you hope to fly to. You can also check out the Yokota terminal’s Facebook page. The rules can get complicated, but it boils down to three steps. Step 1: Get permission. This will be either in the form of a letter from your spouse’s commander saying that you’re “command-sponsored” for Space-A travel, or a form saying you’re on unfunded Environmental Morale Leave. Your documents remain valid for three months. You can find an example letter here. Alternatively, you can get an EML form. EML travel is higher priority and you can do it twice a year. Inquire about either at your sponsor’s administrative section. Step 2: Register yourself at AMC by signing up as early as 60 days before travel. The basic method is to go to the service counter at the Yokota passenger terminal. Bring your letter or approved EML form and your passport. You’ll get a stamp on your letter indicating the date and time you registered. This determines your priority within your category. You can also email your form to 730ams.space.available@yokota.af.mil or fax it to 225-9768. You should get a confirmation message. Print it and keep it with your letter. (I met one woman who found out on the day of travel that her emailed registration wasn’t in the system. She was able to get on the roster by showing the confirmation message.) Either way, keep your original signed letter with you at all times when you travel. Step 3: Show up ready to fly. Actually, you should call first (225-5660 or 225-7111), a day or two before, to make sure the flight is still on as scheduled. Ask what time the Space-A roll call is. Then, schlepping your luggage and travel documents, go to the terminal about half an hour before roll call. Tell the folks behind the service desk you’re present and want to get on that flight. This is known in AMC-speak as “being marked present.” Ten minutes before roll call they will put up a roster showing all Space-A candidates and their priority. Make sure you’re on that roster. Then cross your fingers and wait to find out if you made the flight. –If you’re selected for a flight, get your boarding pass right away. Anything can happen. You don’t want it snatched away from by some late-arriving passenger with a higher priority. –When you register for your outbound flight, register for your return trip, too. Contact the terminal you’ll be flying from to get back to Yokota. The Yokota Terminal can give you the email addresses and fax numbers. Why wait? –You can also register with www.takeahop.org. This is a private organization that will send your request to the terminals you specify. Takeahop will send you a message confirming your request. Trouble is, you may or may not get a response from the terminal to confirm that you are indeed registered, so you may have to call or email anyway. –Unless you know you’re going on an airliner, wear full-on shoes. Sandals aren’t allowed on military aircraft. –Bring warm layers if you’re flying on a cargo plane. Some people bring camping mats and sleeping bags. Dress for comfort. It may be cold and loud on board. –Find a bathroom before you board. All planes have a “latrine” but this could be rather basic. –Be prepared to pay about $28 in head tax if you’re flying on the Patriot Express to Seattle. –The Patriot Express was rerouted in 2010 so that Seattle-bound flights now fill up in Korea before they land in Yokota. That has lowered the number of Space-A seats to a mere handful, even when school is in session. 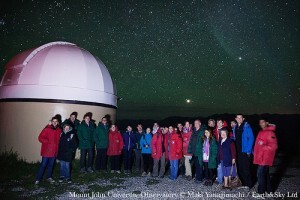 –A very good forum for the latest on Space-A travel is Dirk Pepper’d Space-A Message Board. (Thanks to Nancy F. for the tip.) This SpaceA.net is also a fantastic resource that is updated constantly. Short-notice flights (or unscheduled flights) are sometimes your best bet if you are in a low category. Many people leave the terminal and only return for missions that are listed on the daily schedule. With a short flight, you can endure any type of plane, even cargo planes where you have to wear earplugs. If there are no flights or few probable seats, you can try another base. Use the DSN phone in the terminal to call other bases. For example, if you are trying to get to Guam through Kadena, call Kadena and first ask what time the flight from Yokota to Kadena is scheduled to land, then ask if there are any flights scheduled to Guam after that landing. Also get the phone number for billeting there, in case you get stuck for a day. Ask how many people are signed up for Guam to get an idea of your chances. Most of the people you speak with will be frank and they will tell you if people are having trouble getting out to that destination. Sometimes “hopping” can be just as adventurous and beats sitting in the terminal for days. But if you do get stranded, note some terminals have USO facilities where you can hang out. Fortunately, Yokota is a great place to catch flights. 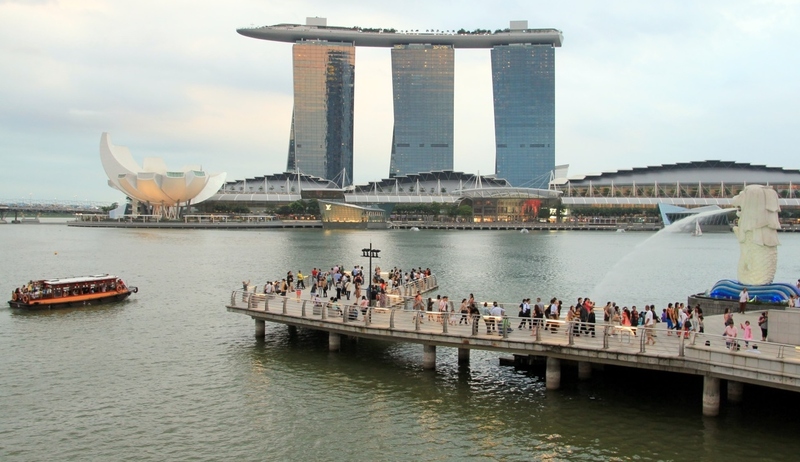 Find tips and recommendations when traveling to Singapore and beyond. Two scheduled flights leave Yokota nearly every week for Singapore, so it’s a really easy Space-A destination. But where do you go from there if you’ve made no plans and you don’t want to spend a million dollars? Our family faced that dilemma when the five of us landed in Singapore on a spontaneous trip in August 2011. Luckily we found our paradise island just a boat ride away. We had hopped to Singapore on the DC 8, arriving early in the morning. We spent a night at the Navy Lodge before we figured out where to go next. (For van service, we called Jeffrey Koh of CJK Express when we landed. He picked us up at the terminal and took us to the Lodge for $40.00. His cell: 9683 8839.) The Lodge was a bit out of the way but spacious and clean, and we found a few pretty good restaurants within walking distance from base. I did a little Internet trolling and hit on Bintan Island, in Indonesia. We’d never heard of it, but it sounded great. So the next day we took a 55-minute ferry ride from Singapore to Bintan. On the ferry we were able to obtain visas for $10.00. 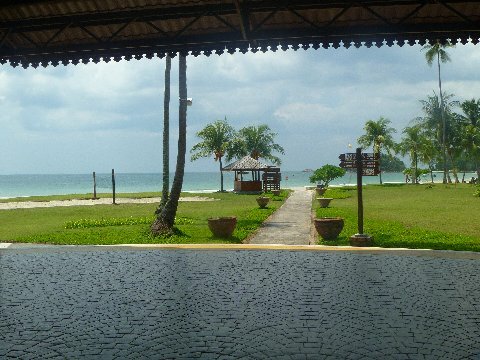 All the Bintan hotels have complimentary shuttles to take you to your hotel. We stayed at the Mayang Sari Beach Resort. We got two beautful “chalets” that were right on the beach for about $180 each. We had never stayed right on a beach before so it was a real treat to hear the waves crashing at night. Our rooms included a daily breakfast buffet. There were plenty of activities for our kids. They jet skied and zip-lined . 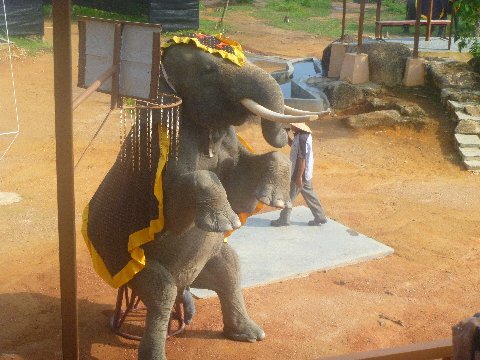 We also saw an Elephant show and rode the elephants. We took a boat tour through the Mangrove Forest, which was also fun. The island also has several golf courses. We had wonderful dinners every night at nearby restaurants. The hotel shuttle would drop us off at them. The staff at the hotel were so kind and welcoming. My only regret is that I didn’t get a massage, which I later learned are super inexpensive. I felt so relaxed while I was there that I never thought about it. •Drive, either your own car or a rented van from Services. •Take the shuttle from the Kanto Lodge or the New Sanno Hotel. The shuttle is the easiest and probably the cheapest. If you choose train, you could take a Japan Railway (JR) Train to Shinjuku, Ueno or Tokyo stations and then catch the JR Narita Express, Tokkyu Wing express, or Keisei Skyliner trains. Reservations may be needed for the express trains and fares are about ¥3,000 per seat from Shinjuku. The Narita Express train leaves twice a day from Tachikawa, both times early in the morning. Before you venture off to Narita for the first time, consult your maps and check with the helpful people manning the Yujo Community Center desk about new roads and road closures. They produce a handy flyer showing expressway routes to Narita. It’s a long trip, between two and five hours one way. Follow the directions to the Chuo Expressway, and enter the expressway towards Shinjuku. Familiarize yourself with the Expressway number code. Follow #4 all the way into Tokyo. Ten km before you come to the actual turnoff you will start picking up another expressway, #7.Keep changing to stay in the lane marked #7. A number 7 will be posted directly over the lane you must follow. Expressway #7 will take you straight to Narita International Airport, making this route comparatively uncomplicated. Another sometimes scenic route is via #3 and #2 across Tokyo’s Rainbow Bridge toward the Higashi Kanto Expressway. Once at Narita, follow the signs for inbound passenger traffic. All parking is paid parking. Once you have met the arriving party and gathered the luggage, you may bring your car around to the entrance for easier loading. Retrace your steps to return to the base, or follow #7 to #4 and drive to the Hachioji exit, no. 5. You will see a sign telling you the exit is 8 km farther. Next, you will pass a rest stop on your left. The next sign will tell you the Hachioji exits are in 1 km. There are two exits, 5 and 5-2. (Exit 5-2 is the exit for Yokota.) Stay on your left and follow the offramp around to the tollgates and pay your fees. Immediately after the tollgates, you will come to a fork, marked Hachioji to the left and Akishima to the right. Go right and follow the ramp around, where it runs into Rt. 16. Follow Rt. 16 back to the base. The toll for the round trip will be over ¥5000. If meeting outside customs, confirm whether the arrival is at Terminal 1 or Terminal 2. The simplest way to get to the airport is to take the shuttle bus that goes from Yokota to Narita International Airport every day except Christmas Day and New Year’s Day. Three buses depart Yokota’s Kanto Lodge at 9am, 11am and 1pm (starting from the East Side 30 minutes before). They arrive at Narita at about 12:30pm, 2:30pm and 4:30pm. They return from Narita at 4pm, 6pm and 8pm. 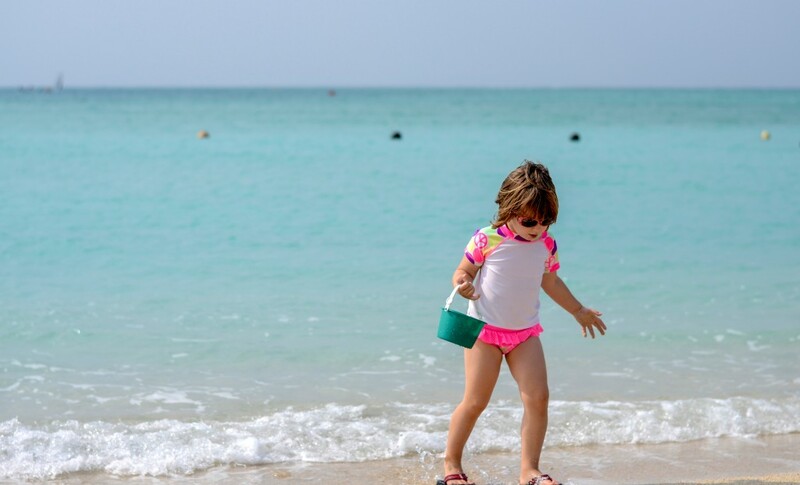 A one-way trip for leisure travelers costs $40 per adult and $30 per child. You may sponsor a visitor to ride the bus, even if you cannot be there to pick them up in person (check details in advance and note you may need to meet your visitors at the Fussa Gate to sign them onto base). Look for an up-to-date schedule at the Kanto Lodge or the Yujo Center. For more information: http://www.yokotasupport.com/wp-content/uploads/shuttle-schedule-jan15.pdf. If those times don’t work for you, consider taking a commercial shuttle from Tachikawa to Narita. The Airport Limousine Bus is convenient to the train station. Or, if you have a ride, you can pick it up at the Palace Hotel in Tachikawa. Buy your tickets (¥3500 per adult) and make reservations the day before. Details are on the Airport Limousine Bus website. Liz Ruskin, 2011. If you fly within Japan, chances are your flight will originate at Haneda Airport. Haneda is on the southeast side of Tokyo, along the bay. The easiest way to get there is by shuttle bus from Tachikawa, but you can also go by train. TRAIN DIRECTIONS: Take the Ome/Chuo Line to its end at Tokyo Station. Transfer to the green Yamanote line and go three stops to Hamamatsucho Station (toward Shinagawa) and change to the monorail, which ends at Haneda Airport. Keikyu Railways also operates train service from Shinagawa Station to Haneda Airport. Note there is also more than one terminal at Haneda. SHUTTLE DIRECTIONS: You can catch a shuttle to Haneda from Tachikawa. Details are on this website. Or try the Keihin Kyuko Bus, http://hnd-bus.com/route/haijima.html. on Kyoto Fire Ramen RestaurantKyoto Fire Ramen closed in January 2019 for refurbishment. They will hold a re-opening day on March 20, 2019.